Objective: The aim of the paper is to develop the theory of retail business positioning as a part of marketing innovation-based strategy. It is proposed that innovative retail formats and business models should be included in it. Research Design & Methods: The critical literature review on the existing dimensions of business positioning as well as the new, suggested dimensions is made. General trends in food retailers’ positioning in Poland and the positioning strategy development of Carrefour are analysed in the form of examples and a short case study. They are based on the secondary sources like academic papers, retail magazines and companies’ web sites. Findings: On the fragmented food markets retailers position themselves by introducing format innovations and stressing low price. Then they have to reposition themselves by attributes other than price. Big mass merchandisers are now segmenters. Implications & Recommendations: In Poland the tendencies for buying natural, Fair Trade, diabetics, organic or functional products, as well as the focus on the elderly segment are opportunities for retailers. Yet, trading up creates new opportunities for discounters. 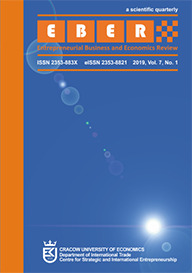 Contribution & Value Added: The paper contributes to the theory of retail positioning by linking elements of the marketing and the entrepreneurship approaches. It also develops knowledge about the Polish retail food market. Alderson, W. (1937). A marketing view of competition. Journal of Marketing, 1(3), 189-190. Alderson, W. (1957). Marketing Behavior and Executive Action, Irwin, Inc. Illinois. Anitsal, I., & Anitsal, M.M. (2011). Emergence of entrepreneurial retail forms. Academy of Entre-preneurship Journal, 17(2), 1-17. BiliÅ„ska-Reformat, K. (2015). Relacje sieci handlu detalicznego z klientami i dostawcami na tle uwarunkowaÅ„ globalnych i lokalnych, UE Katowice. BiliÅ„ska-Reformat, K. (2014). Rola etnocentryzmu konsumenckiego w ksztaÅ‚towaniu asortymentu sieci handlowych. Marketing i rynek, 6, 32-47. BiliÅ„ska-Reformat, K., & Dewalska-Opitek, A. (2014). Wykorzystanie etnocentryzmu konsumenc-kiego w ksztaÅ‚towaniu wizerunku sieci handlowych. Marketing i Rynek, 6, 48-62. Bliss, P. (1960). Schumpeter J., the â€œBigâ€ Disturbance and Retailing. Social Forces, 39(1), 72-76. Beristain, J.J., & Zorrilla, P. (2011). The relationship between store image and store brand equity: A conceptual framework and evidence from hypermarkets. Journal of Retailing and Consumer Services, 18(6), 562-574. Borusiak, B., PieraÅ„ski, B., & Lewicki, M. (2015), Innovation in Retail Food Formats â€“ the case of Polish Market, In: N. Knego, S. Renko, B. KneÅ¾eviÄ‡ (ed.) Trade Perspectives 2015. Innovations in Food Retailing, 32-46. Brooksbank, R. (1994). The Anatomy of Marketing Positioning Strategy, Marketing Intelligence & Planning, 12 (4), 10-14. Churchill, P. (1989). Marketing Means Basic First, Accountancy, March. Collins-Dodd, C., & Lindley, T. (2003). Store brands and retail differentiation: the influence of store image and store brand attitude on store own brand perceptions. Journal of Retailing and Con-sumer Services, 10(6), 345-352. Diallo, M. F. (2012). Effects of store image and store brand price-image on store brand purchase intention: Application to an emerging market. Journal of Retailing and Consumer Services, 19(3), 360-367. Devlin, D., Birtwistle, G., & Macedo, N. (2003). Food retail positioning strategy: a means-end chain analysis. British Food Journal, 105 ( 9) , 654-655. Ellickson, P.B., Misra, S., & Nair, H.S. (2012). Repositioning dynamics and pricing strategy. Journal of Marketing Research, 49(6), 750-772. Gilbert, D. (1999). Retail marketing management. Financial Times Management. Goldman, A. (1993). Internationalization of retailing: Strategies, technology, and global-scope retailers, Jerusalem School of Business Administration, Working paper. Grzesiuk, A. (2003) Strategie pozycjonowania detalistÃ³w, Marketing i Rynek, 3, 7-12. Hanf, J.H., & Pall, Z. (2009). Is retailing really unique? Insights into retail internationalization using business theories. In EAAE Seminar: â€œA Resilient European Food Industry and Food Chain in a Challenging World , September, 4-5. Den Hertog, P., & Brouwer, E. (2000). Innovation indicators for the retailing industry: A meso per-spective. SIID-Project on behalf of Dutch Ministry of Economic Affairs. University of Groning-en. Huang, Y., & Huddleston, P. (2009). Retailer premium own-brands: creating customer loyalty through own-brand products advantage. International Journal of Retail & Distribution Mana-gement, 37(11), 975-992. Karczewska, M., (2013). Budowanie wizerunku odzwierciedlajÄ…cego wyrÃ³Å¼niajÄ…ce pozycjonowanie sieci delikatesÃ³w Alma, In: G. Åšmigielska (ed.) Å¹rÃ³dÅ‚a konkurencyjnoÅ›ci przedsiÄ™biorstw han-dlowych w gospodarce opartej na wiedzy. Warszawa: Difin. KÅ‚osiewicz-GÃ³recka, U., (2013). Struktura handlu detalicznego w Polsce a preferowane przez kon-sumentÃ³w miejsca zakupÃ³w FMCG, Konsumpcja i RozwÃ³j, 2,135, 133-144. Knezevic, B., & Szarucki, M. (2013). Internationalization of Retail in Poland and Croatia. Challenges for the Trade of Central and Southeast Europe, 1-18. Kotler, P. (1994). Marketing. Analiza, planowanie, wdraÅ¼anie i kontrola. Warszawa: Wydawnictwo Gebethner i Ska. Kucharska, B. (2016). Ewolucja formatÃ³w jako przejaw innowacyjnoÅ›ci przedsiÄ™biorstw handlo-wych w Polsce, In: M. SÅ‚awiÅ„ska (ed. ), Handel we wspÃ³Å‚czesnej gospodarce. Nowe wyzwania. PoznaÅ„. Laffy, D., & Walters, D. (1996). Managing Retail Productivity and Profitability. Palgrave Macmillan. Lal, R., Bell, D.E., & Salmon, W.J. (2004). Globalization of retailing. The Global Market: Developing a Strategy to Manage Across Borders, available at: http://www.people.hbs.edu/dbell /globalization_of_retailing.pdf. Lazer, W., & Kelley, E.J. (1961). The Retailing Mix: Planning and Management, Journal of Retailing, Spring 1. Levy, M., & Weitz, B.A. (1999). Retail Management. Irwin/McGraw Hill. May, E.G., (1989). A Retail Odyssey. Journal of Retailing, 65(3), 356-367. Omar R., (1999). Retail Marketing. Financial Times, GB Edition. Rosenbloom, B. (1983). Store Image Development and the Question of Congruency, In: Darden, William R. & Lusch, Robert, F. (ed.) Patronage Behavior and Retail Management. New York: Elsevier Science Publishing Co., 141-149. Oates, B., Shufeldt, L., & Vaught, B. (1996). A psychographic study of the elderly and retail store attributes. Journal of Consumer Marketing, 13(6), 14-27. Oppewal, H., & Timmermans, H. (1997). Retailer self-perceived store image and competitive position. The International Review of Retail, Distribution and Consumer Research, 7(1), 41-59. Porter, M.E. (2001). Porter o konkurencji. Warszawa: PWE. Ries, A., & Trout, J. (1997). 22 niezmienne prawa marketing. Warszawa: PWE. Rynek wewnÄ™trzny w Polsce w 2012. Warszawa: GUS. Rynek wewnÄ™trzny w Polsce w 2014. Warszawa: GUS. Skallerud, K., & GrÃ¸nhaug, K. (2010). Chinese food retailersâ€™ positioning strategies and the influ-ence on their buying behaviour. Asia Pacific Journal of Marketing and Logistics, 22(2), 196-209. SÅ‚awiÅ„ska, M. (2010). Istota i cechy modelu biznesu w handlu detalicznym. In. M. SÅ‚awiÅ„ska (ed. ), Modele biznesu w handlu detalicznym. PoznaÅ„: Wydawnictwo Uniwersytetu Ekonomicznego w Poznaniu. Sorescu, A., Frambach, R.T., Singh, J., Rangaswamy, A., & Bridges, C. (2011). Innovations in retail business models. Journal of Retailing, 87, S3-S16. Sullivan, M., & Adcock, D. (2003). Marketing w handlu detalicznym, Oficyna Wydawnicza, KrakÃ³w. StefaÅ„ska M., (2014). Postrzeganie produktÃ³w pochodzÄ…cych od lokalnych dostawcÃ³w w kontekÅ›cie etnocentryzmu i koncepcji CSR â€“ perspektywa nabywcÃ³w, Marketing i Rynek, 6, 705-719. Swoboda, B., & Elsner, S. (2013). Transferring the retail format successfully into foreign countries. Journal of International Marketing, 21(1), 81-109. Åšmigielska, G., & StefaÅ„ska, M. (2015). Innovation in developing competitive advantage in food retailing. The case of Polish national chain â€œPiotr i PaweÅ‚â€, In: N. Knego, S. Renko, & B. KneÅ¾eviÄ‡ (ed.) Trade Perspectives 2015. Innovations in Food Retailing. Zagreb: University of Zagreb, 93-103. Åšmigielska, G., & StefaÅ„ska, M. (2013). Private Brand in the Positioning Strategies of FMCG Re-tailers in Poland. Zeszyty Naukowe Uniwersytetu SzczeciÅ„skiego. Problemy ZarzÄ…dzania, Fi-nansÃ³w i Marketingu, (31), 375-385. Teller, C., Gittenberger, E., & Schnedlitz, P. (2013). Cognitive age and grocery-store patronage by elderly shoppers. Journal of Marketing Management, 29(3-4), 317-337. Trout, J., & Ries, A. (1982). Positioning: The battle for your mind. Replay Radio, Radio New Zea-land. Walters, D., & Laffy, D. (1996). Managing retail productivity and profitability. Macmillan Press. Wortzel, L.H. (1987). Retailing strategies for todayâ€™s mature marketplace. Journal of Business Strategy, 7(4), 45-56.
www.carrefour.pl (2016b). Marka Carrefour. Retrieved from http://www.carrefour.pl/nasze-marki/marka-carrefour. Accessed on 12.05. 2016. Authors retain copyright and grant the journal right of first publication with the work simultaneously licensed under a CC BY-ND licence that allows others to share the work with an acknowledgement of the work's authorship and initial publication in this journal. Authors are asked to enter into separate, additional contractual arrangements for the non-exclusive distribution of the journal's published version of the work (e.g., post it to an institutional repository or publish it in a book), with an acknowledgement of its initial publication in this journal.